A report published by the Federal Reserve Bank of San Francisco found patterns of age discrimination. Older job seekers don't need data to tell them that it's a rough market out there, where businesses with increasingly short-run investment horizons favor lower costs over experience. But if hard evidence can help them fight discrimination through the justice system, here’s some. A report published by the Federal Reserve Bank of San Francisco found discernible and systematic patterns of age discrimination, particularly for women. "We report on new evidence from a field experiment testing for discrimination in hiring against older workers near retirement age," said David Newmark, a professor at the University of California at Irvine and a visiting scholar at the San Francisco Fed. "The evidence points to such discrimination, particularly against older women." Just how did the authors conduct this experiment? By sending simulated, plausible résumés to all kinds of positions around the country in what they say is the largest experiment of its kind. "We specifically crafted variations on résumés that older workers actually present," the authors said. "We leveraged technology to conduct our study on a massive scale … sending triplets of otherwise identical young, middle-aged, and older fictitious applications to over 13,000 positions in 12 cities spread across 11 states, totaling more than 40,000 applicants — by far the largest scale audit or correspondence study to date." The authors find the trend disturbing not just for its direct harm to the people involved but because of the extra strain placed on the Social Security system from workers forced to retire prematurely. And it gets worse with age. "While both middle-aged and older applicants experience discrimination relative to younger applicants, older applicants—those near the age of retirement—experience more age discrimination," the authors said. This works directly against some conservative proposals for cutting Social Security, which would like to see the retirement age raised from 65. 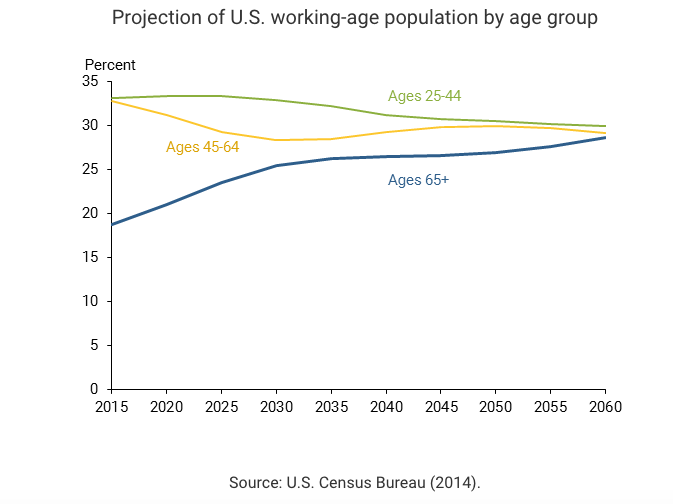 "One major reform goal is to create stronger incentives for older individuals to stay in the workforce longer," the authors wrote.